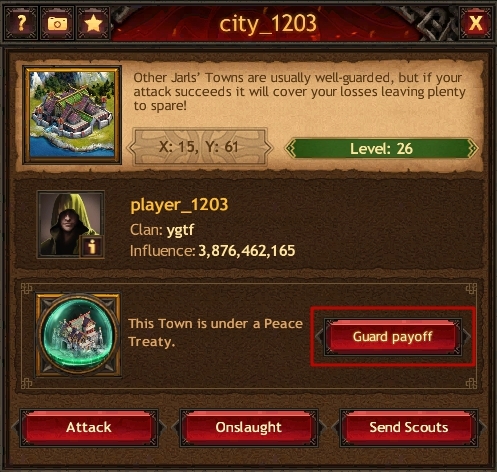 Guard Payoff is a special item that allows you to find out the duration of the Peace Treaty in other Jarls' Towns. You can purchase the item in the Item Store and as part of Bank offers. 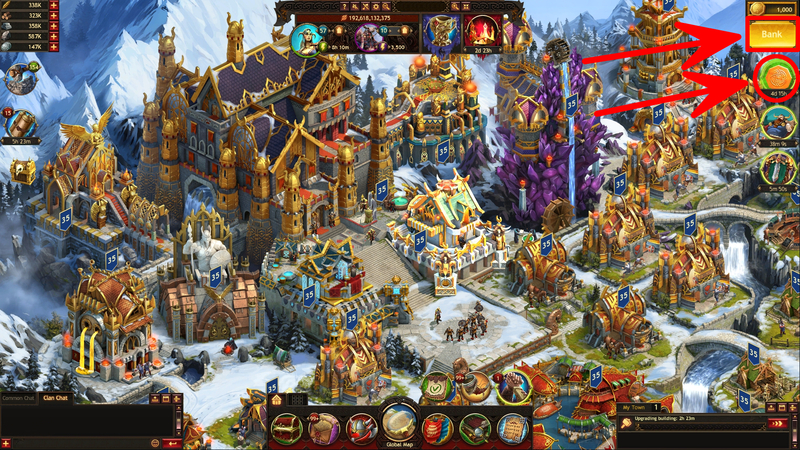 You also have a chance to get it by attacking Uber Invaders. After the item is purchased, it is located in the Military section in the My Items tab in the Items window. You cannot activate the item from the Store. 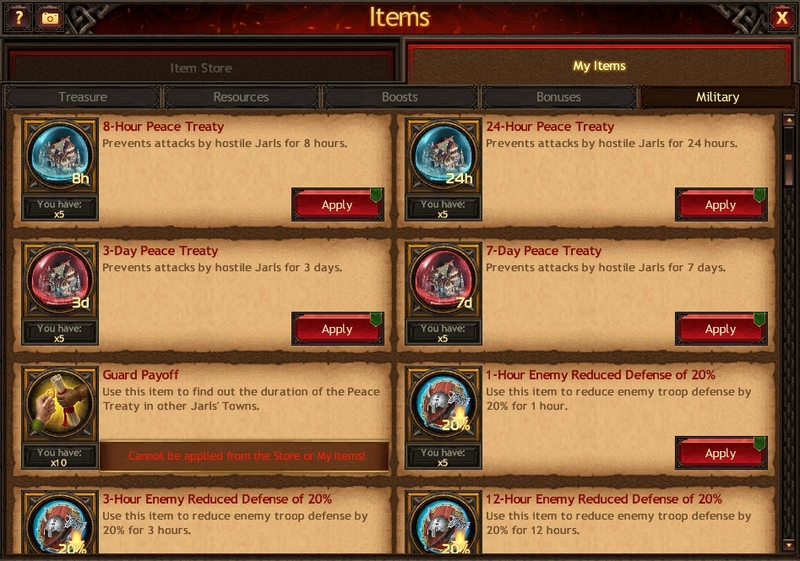 To purchase and/or apply the item, just select a Town with an activated Peace Treaty on the Global Map and click the "Guard Payoff" button in the window that appears. 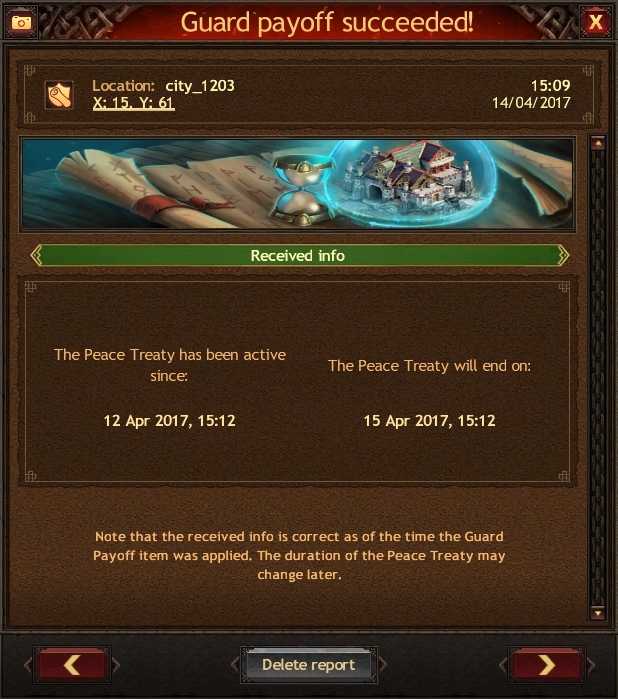 After a successful payoff, a message containing the information about the Peace Treaty's start and end time will arrive in your game mail. This information is accurate at the time when you use the item and may change depending on the actions of the Jarl whose Town guards you have paid off.